It’s not quite accurate to call Kero Kero Bonito an electro-pop band anymore—not since this February’s four-song EP TOTEP found the U.K.-based trio trying out guitars, dreamier textures, and live instrumentation at shows. Today they’ve released “Time Today,” a lilting, lo-fi pop song about the happy-but-sad frustration of directionless free time. 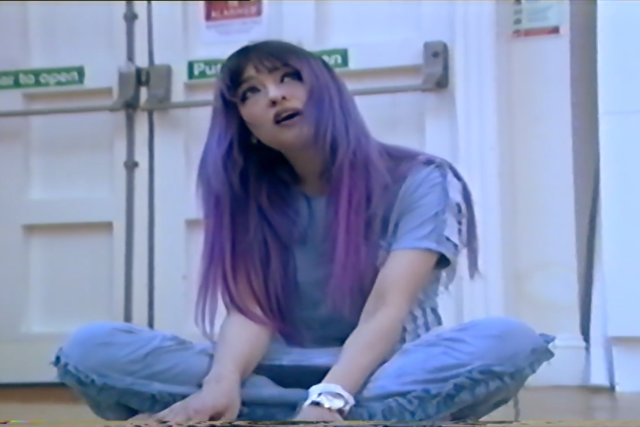 “Time Today” comes from Kero Kero Bonito’s next album, Time ‘n’ Place, the group wrote in a tweet, but they’re not offering any additional details or date on that project for now. When it does arrive, Time ‘n’ Place will be the follow-up to 2016’s Bonito Generation, which is a good place to start if you’re looking to sample KKB’s previous cutesy, hyperkinetic pop style. Below, watch the homemade video for “Time Today,” in which lead singer Sarah Midori Perry passes the time at some sort of inpatient treatment center with music, crafts, and FaceTime calls with her bandmates while she waits to finish crossing out the days on her calendar.